Anido published a paper and booklet by hand for the members' study of animation from its foundation in 1967 to 1980. This Anido Journal which was improved them and published. 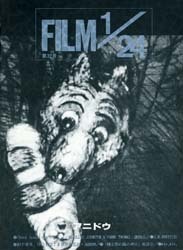 Publication of "FILM1/24" has stopped since this Vol.32. Many pictures and photos are included. ・Talk about "Momotaro Umi no Shinpei"